One of the best all time sellers, the 13” Scourge, led to the creation of this super cool modern mini utility-combat knife. 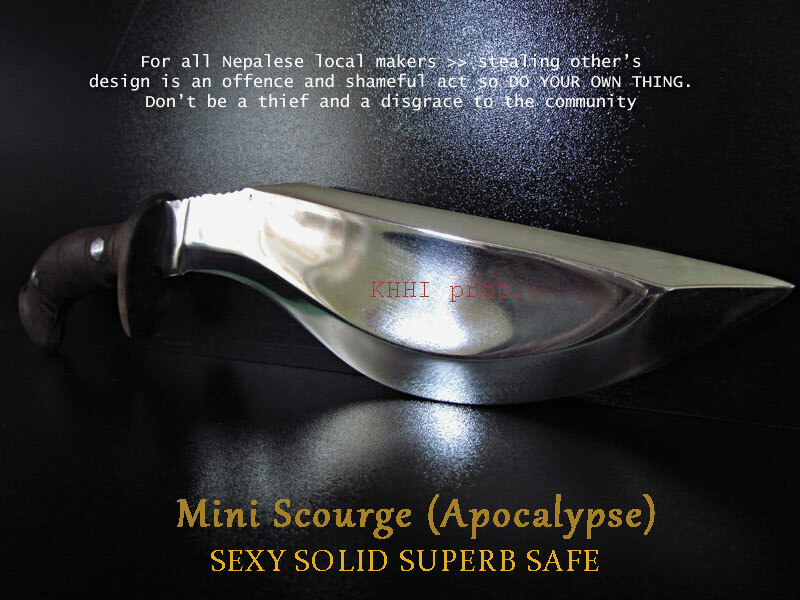 Since more and more people wanted to have the exact same model like the 13” Scourge but in smaller version for easier handling, more comfortable to carry and one that can easily slid in a backpack without the fear of catching any unwanted attention; the “Mini Scourge” was the outcome - a perfect addition to the vast product line of KHHI to satisfy the need for a very useful mini bowie that is suitable for any conditions, places and in any situations. However Mini Scourge has slightly different features than its original counterpart to improve overall performance and strength. 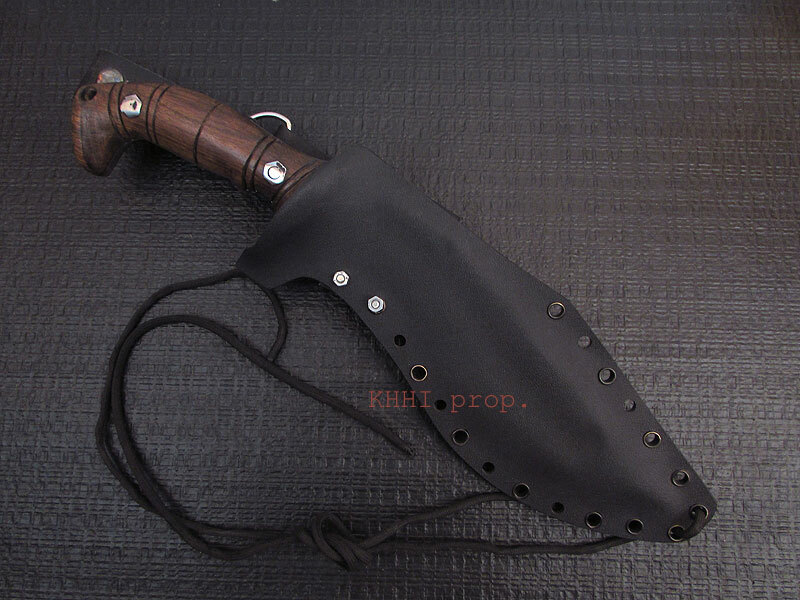 BLADE + HANDLE >> Like its big counterpart it has a very big and wide chest coming down to a narrow and small belly. The wide chest (profile) gives the needed power and swing to the knife plus a dashing look. It has a deep fuller beautifully crafted to give strength and stability. 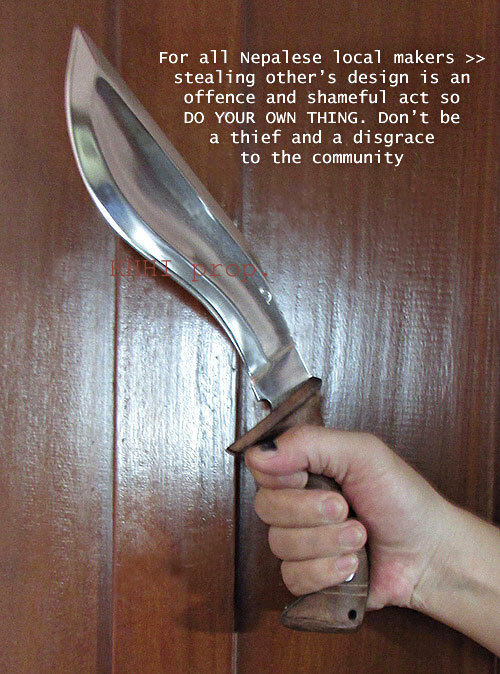 It also cuts down the unnecessary mass of the blade and hence the weight to give a perfect weight, balance and feel. The blade is mirror polished to give a superb look which also protects the blade from rusting. 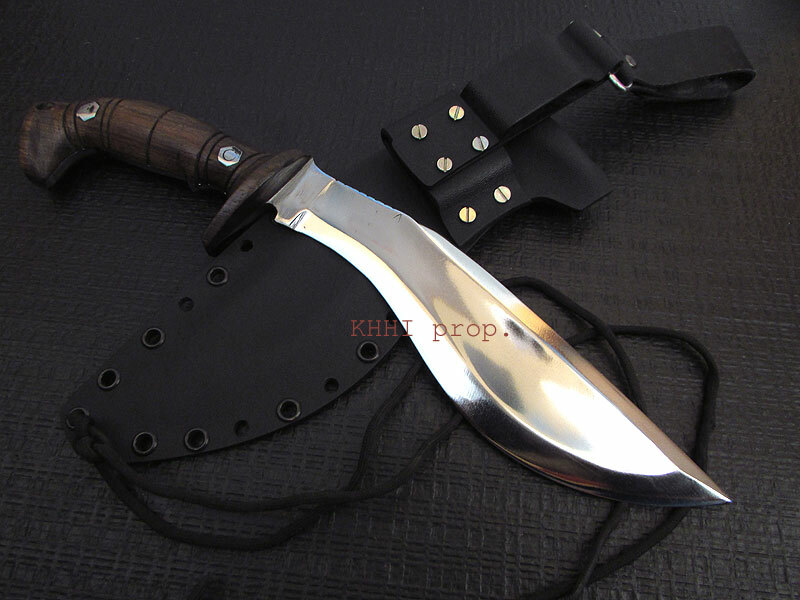 Mini Scourge’s handle is it’s another strength. It gives a perfect grip and effective multiple hold to do any task/job with ease and efficiency. The ergonomic handle carved in the very shape of a human hand delivers a superb handling - greater grip retention with less effort. The handle has been specially designed with multiple hand grips in mind. Grip the handle close to the guard to angle the blade better for penetration during thrusts and for a more controlled balance. Hold it closer to the pommel for greater force and reach, ideal for splitting wood and stuffs. Similarly L-key is used instead of regular pins to give stronger bonding (fixture) to its full flat tang handle. Rings are cut in the handle for better and more studier grip. The lanyard hole is also made at the bottom of the handle to secure the knife to the user’s wrist so that the knife is never dropped even by accident. Zimpings is also there in spine to facilitate thumb rest and thus cutting. 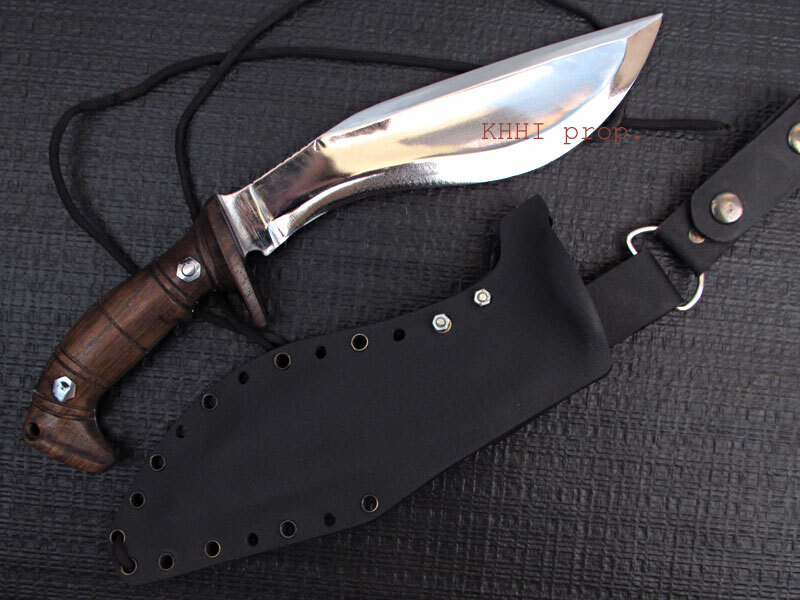 SHEATH >> A special kydex sheath fitted with detachable leather loop carriage system adds value and usefulness to this kukri. 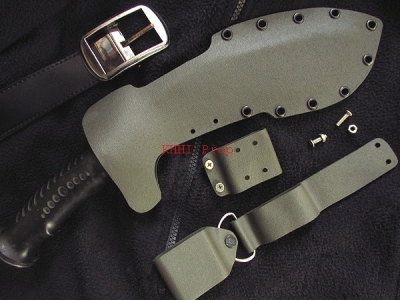 Kydex, a hard coated plastic (PVC) industrialized product and a water proof material; splendidly moulds to the shape and structure of the blade making it an extremely useful sheath, both; use-wise and look-wise. Further the see thru holes make the sheath very compatible to various standard personnel gears and wears and facilitates various carrying positions in the body. It makes the Mini Scourge carriable on all standard issue pieces and placements without any problem. It can also be carried both ways; vertical and horizontal (dual). This special kydex feature of the Mini Scourge adds so much power and versatility to the knife. A MUST for all soldiers, survivalist, saviors and seekers. 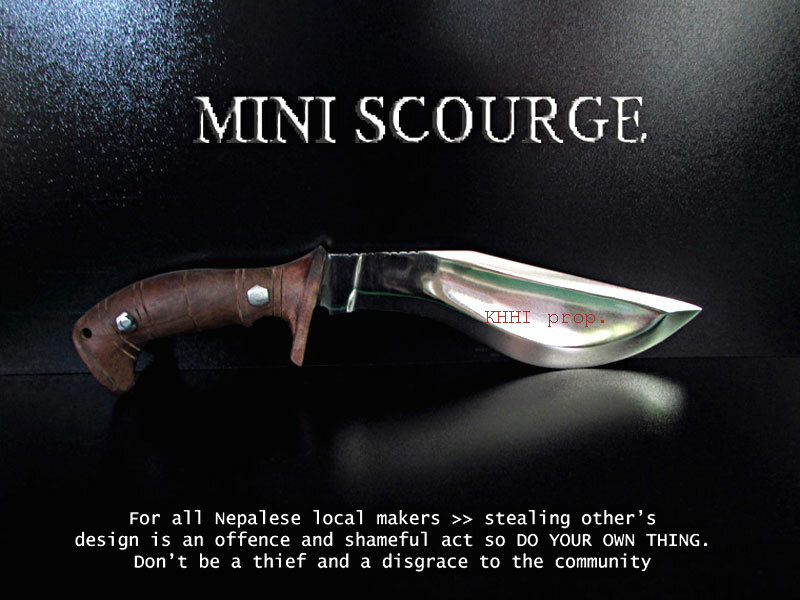 the mini Scourge is a fantastic piece as well that has garnered praise and curiosity from numerous people. 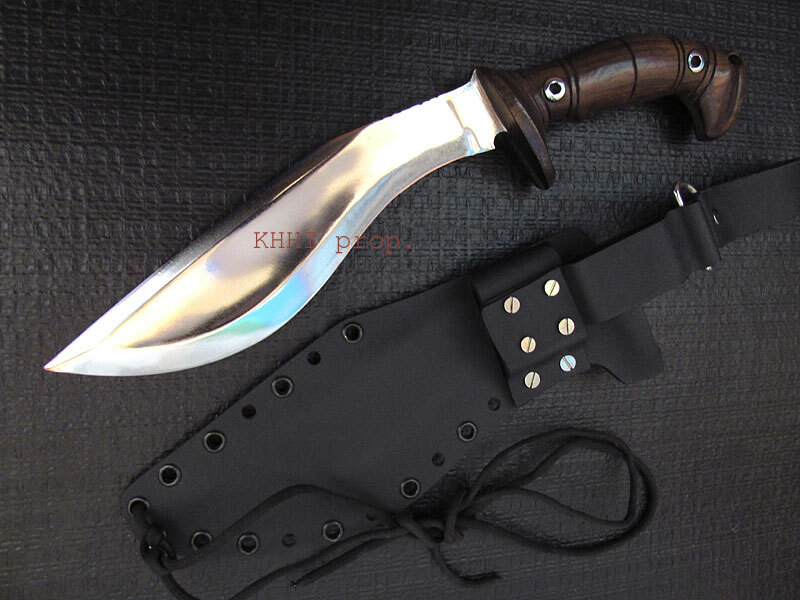 I'm especially satisfied with the double-edged design, the way it blends stylings commonly seen in fighting knives used by Philippine martial artists with the traditional form and function of the classic Nepalese Khukuri. 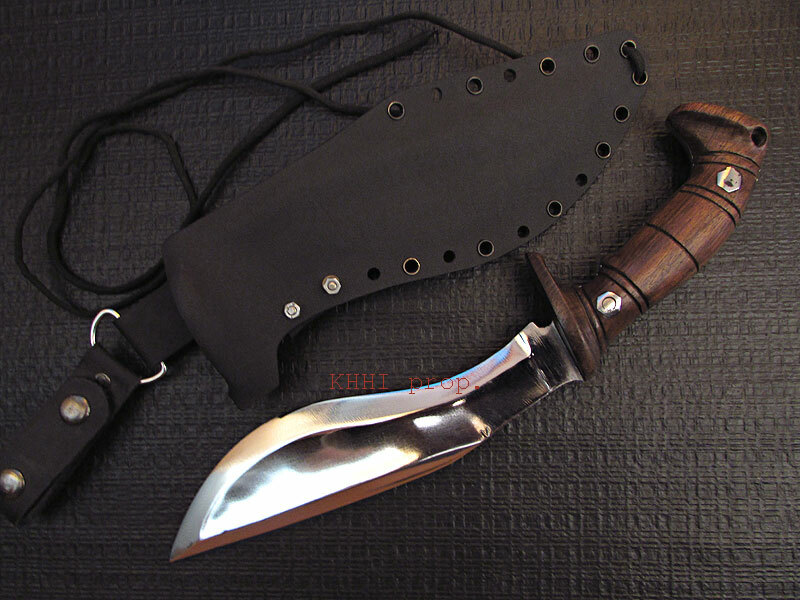 I wanted to take a minute and thank you for the amazing kukri that you guys have built and shipped to me. Thank you it's amazing. I have been using it for a while now and looking at it and the craftsmanship is amazing .My hat is off to the maker, the knife feels like a part of my hand almost. I love the knife .